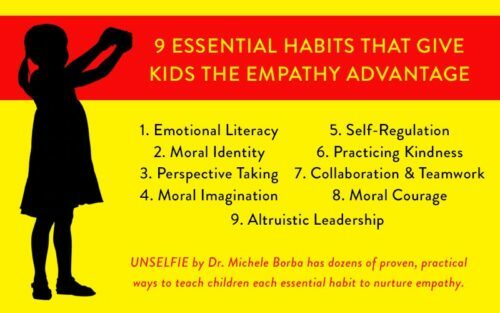 “Empathy is at the core of everything that makes a school caring, a teacher responsive, and a society civilized,” says educational psychologist and speaker Michele Borba in this article in Educational Leadership. 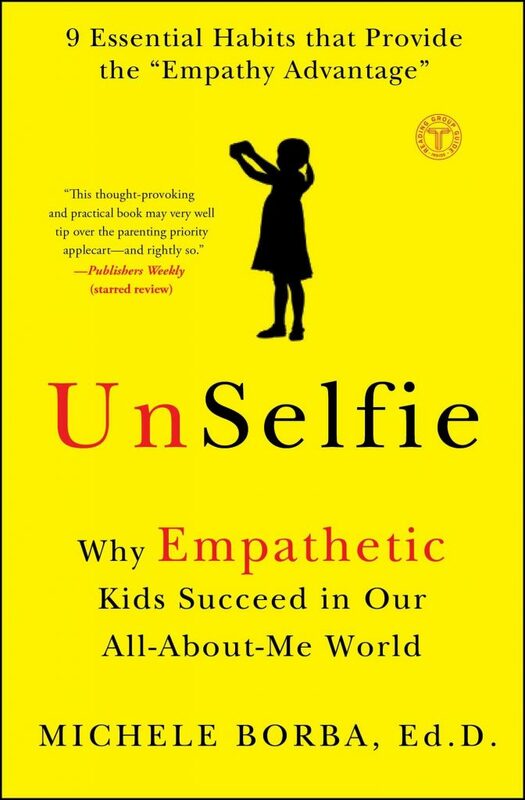 “When empathy wanes, narcissism, distrust, aggression, bullying, and hate rise – and schools suffer.” Borba cites research indicating that American teenagers are 40 percent less empathetic than they were three decades ago. Kids today may seem smart and self-assured, but they’re also more self-centered, competitive, individualistic, sad, and stressed than any previous generation. Emotional literacy – “Before students can empathize, they must be able to read emotions,” she says. “Students who can recognize feelings are better adjusted emotionally and more popular, outgoing, and sensitive.” But electronic devices are stunting kids’ growth in this area, so school leaders need to maximize meaningful face-to-face connections, including advocating for classroom furniture arranged in groups and circles and teachers getting out from behind their desks, constantly interacting with students, and using activities that improve students’ ability to tune in to others’ emotions and states of mind. Moral identity – This is students seeing themselves as people who value others. “That poses a problem in our culture,” says Borba, “with its increasing void in moral role models, but educators can play a central role in helping students develop strong ethical compasses.” Classes can decide on mantras, select uplifting quotes, and take inspiration from their teachers’ actions. Perspective taking – This is the cognitive side of empathy, and it can be developed, for example, using technology – connecting with students in faraway places – or in the regular curriculum – imagining the American Revolution from the British point of view. 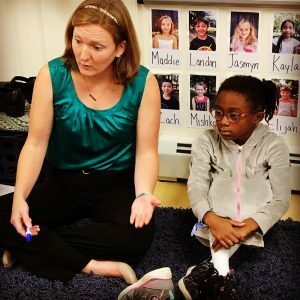 In addition, restorative practices put students in the shoes of the person on the other side of a conflict – How would you feel if that happened to you? Moral imagination – Books like Wonder, The Grapes of Wrath, and A Long Walk to Water, movies like Dumbo (How would it feel to be made fun of like that? ), and certain paintings can be used to prompt empathetic feelings in students. Self-regulation – “Managing emotions is a better predictor of academic achievement than IQ,” says Borba. Learning how to keep feelings in check frees up bandwidth to tune in to another person’s state of mind. One school in San Francisco reduced its suspension rate by 79 percent and improved attendance and achievement after introducing a twice-a-day fifteen-minute meditation/quiet time. Practicing kindness – This is teaching children to be more “we” and less “me” oriented: nudging them to notice, care about, empathize with, and help and comfort others. “Kindness also jump-starts a cascade of beneficial effects not only for the receiver, but for the giver,” says Borba. Collaboration – “Empathy is never a solitary act,” she says; “It’s only when we let go of our self-centeredness and feel with others that our hearts open.” Orchestrating teamwork in classrooms (like jigsaw activities) promotes understanding, builds problem-solving skills, and helps students disagree agreeably. Growing changemakers – This is making empathy part of a school’s mission: being explicit about encouraging students to understand and help others, perhaps through service projects. “Giving – not receiving – is what makes kids happier, healthier, less stressed, and feel better about themselves,” concludes Borba. As usual, wonderful content. I really enjoy these posts, thank you. Thank you for sharing this. I find the blog posts insightful, interesting and relevant to our family life and raising a child of this generation.